The act of baking potatoes with cheese is actually a more varied topic than you might think. 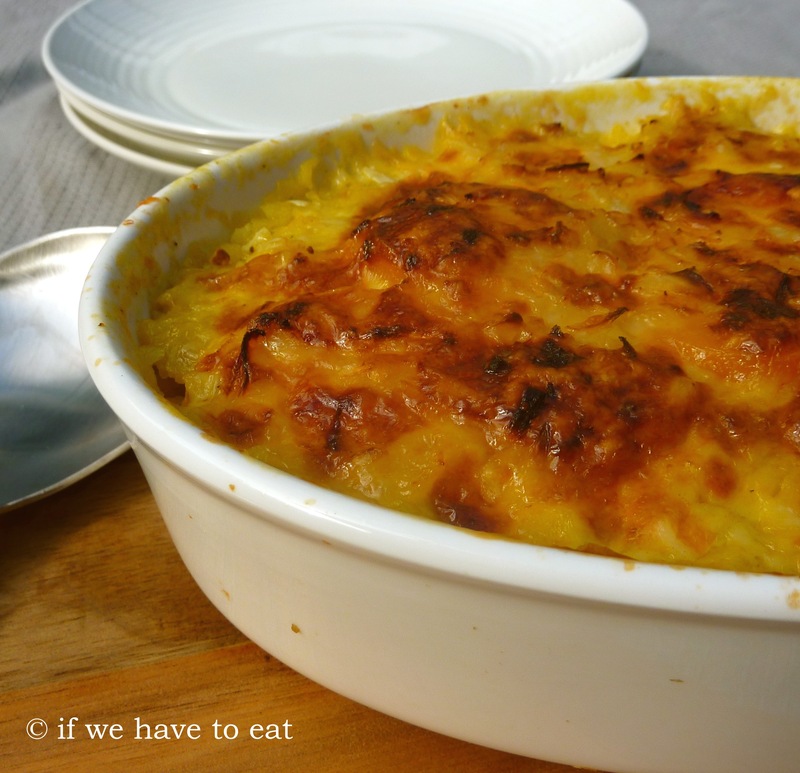 The humble potato bake is also known as scalloped potatoes, potato gratin, gratin Dauphinoise, gratin Savoyard – but they are all slightly different. Potato gratin or scalloped potatoes involve just potato and cheese, while the Dauphinoise uses cream and the Savoyard uses stock. This recipe is based on the Savoyard approach and uses sweet potatoes to make it a bit healthier. Thanks Helene. Good to hear that people actually want to eat the things that I cook! This entry was posted on May 25, 2014 by ifwehavetoeat in Sides and tagged Bake, Easy, Recipe, Sides, Thermomix, Varoma, Vegetables.